Voyage is an incredible publication that exists simply to shine the light on small, passionate businesses. Click the image to read their Q&A with Picnic Grounds! The Lancaster Chamber of Commerce Radio Show, Minding Your Business, hosted an interview with the Picnic Grounds owner soon after beginning business. While the owner of Picnic Grounds is a believer in the benefits of being outside, she is also a believer in the power of sharing stories and creating connections. 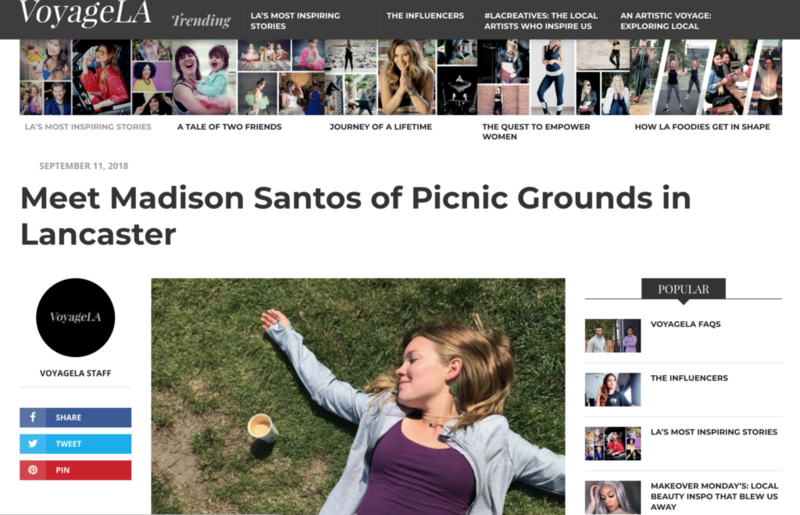 The PG website actually originated as a blog called Picnic Reads! Check out the blog if you’re looking for something to read… hopefully while sipping outside!